Our suggested reading list from our HomeCare & Hospice staff members. You will find such helpful topics on Alzheimer’s, dementia, caregiving, end-of-life issues, grief and loss, hospice care, and spirituality. The information provided on this resource list is for informational purposes only. 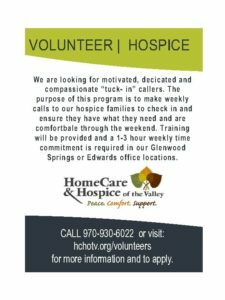 HomeCare & Hospice of the Valley assumes no liability or responsibility for any errors or omissions in the content of this website.